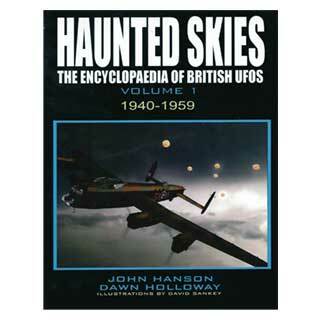 The first volume of an excellent and well document series of UFO encounters in the UK, by a former police officer John Hanson and partner Dawn Holloway. The first part covers sightings between 1940 and 1959. Both authors did a superb job in investigating cases by interviewing witnesses and doing research into newspaper archives. This book is packed with overwhelming and most interesting cases, most of them which have never published before. Haunted skies is a remarkable series of books and certainly the new benchmark in publication quality. Highly recommended for anyone interested in the subject.